In an effort to keep our readers informed about the state of the industry, we feel it's important to address risky or predatory practices in currency exchange. 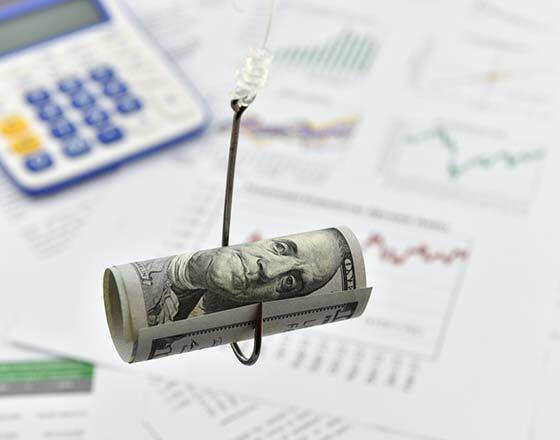 For every legitimate business aimed at providing a service to those interested in purchasing currency, there exist many scams. This article examines some of the prominent practices and scams we've encountered. The most common scam involves self-professed "experts" in currency trading who tout devalued money as a iron-clad investment opportunity. They lure in prospective investors with the claim that buying notes at rock-bottom prices now will result in astronomical returns after a currency rebounds (called "revaluation") at some point in the future. Conference Calls - Styled after shareholder calls, these calls, given by "Gurus," provide unsubstantiated "updates" and supposed new information about movement in the Iraqi Dinar or other currencies, or purported changes in policies that are said to make revaluation imminent. Some of these calls go so far as to employ "experts" or supposed treasury officials making false claims as to policies or advances regarding the currency in question. False Claims - These claims may range from government signs that a currency will revalue (such as claims that the U.S. Treasury has begun investing in a currency) to talk of larger actions (such as a "Global Currency Reset," during which all currencies will be reset/revaluated). Scammers tout the reset as beneficial to buyers of devalued currency — and use these false claims to bolster the case for buying in. In one form of con, "sellers" offer to sell Dinar or another currency, but get the customer to agree to a "layaway" plan, in which the scammer holds the funds until revaluation. They may have the client sign a non-disclosure agreement (NDA), and issue a certificate or "safekeeping receipt" (SKR). In most cases there is no way to be sure that the currency in question actually exists. The NDA can discourage the victim from pursuing legal action, and may even provide that breaching the NDA forfeits the customer's interest in the (perhaps non-existent) notes. In the same vein, option contracts offer customers an option to buy currency at a set strike price at a future date (much as with an option call on traditional stocks). The up-front option purchase price (for instance, 10% of the predetermined purchase price upon exercise of the option) is forfeited if the customer declines to buy the notes at the conclusion of the option term. Some good questions to ask here are: what specific license entitles your company to sell option contracts and what governing body audits you to ensure that you have set aside the currency named in the option? Unless the company is a licensed brokerage (different than a currency exchange) it is unlikely that they are licensed to conduct such transactions. What specific license entitles the company to offer said shares or notes? What governing body audits the company to ensure the notes named in the option are set aside? In this type of scam, scammers secure currency already owned by customers, with the ruse of "authenticating" the banknotes (their serial number, condition, etc.) and, in doing so, have the customer sign a non-disclosure Agreement (NDA). The banknotes are often never returned, and the NDA is written in such a way that, in breaching it, the customer relinquishes claim on the money, effectively allowing the scammers to steal the money (or make it appear as though they have contractual rights to it). Potentially the most dangerous scam involves the sale of currencies currently under sanction by the U.S. Government (e.g. the Iranian Rial, as of this writing). Some disreputable companies will misconstrue facts in order to sell illegal currencies, jeopardizing not only the company selling the currency, but the customer purchasing it. For instance, recent changes to the sanctions against Iran may appear to legalize the purchase of Rial by U.S. entities; however, the sanctions concerning individuals or businesses doing business in or with Iran remain in place, with stiff penalties and potential jail time for those who break sanctions (including the buyer, the seller and the financial institution involved). Scammers might also misrepresent defunct notes to unsuspecting customers - for instance, the demonetized (failed) Zimbabwe dollar. These notes, sold for novelty, have no real-world value as a currency and will not revaluate. Zimbabwe has been using currencies such as the South African rand, Botswana pula, pound sterling, Indian rupee, euro, Japanese yen, Australian dollar, United States dollar and Chinese yuan for all transactions. Stalling Shipments or Payments - Harder to detect, except through research into previous buyers' experiences, some companies will withhold payment on notes delivered to them, or withhold delivery of notes purchased for indeterminate amounts of time. Working through a reputable money service business is the best way to avoid this type of experience. This includes companies that take in notes for redemption, but never send the promised payment for the exchange. What about the Iraqi Dinar - is it a scam? This is probably the question that we hear most, right after "what is going to happen to the value of the Iraqi Dinar"? We have been in the business of buying and selling currency for over 12 years now and drawing from that experience we can say with confidence that we have no idea if the value of the Iraqi Dinar will go up or down. Ask us why we feel we are the best place to buy or sell the Dinar (or any other currency) and we will talk your ear off. As for the future value, we don't know what will happen to its value anymore than we know what will happen to the Russian ruble, Mexican peso or euro. We would caution you against listening to anyone who claims that they do know what the future value of any currency will be. Is the Iraqi Dinar a scam? The Iraqi Dinar (IQD) is the official currency in use in the country of Iraq. Iraq has been experiencing unprecedented turbulence since the US invasion in 2003, yet the IQD that we exchange (buy and sell) is still used to buy goods and services throughout the country. 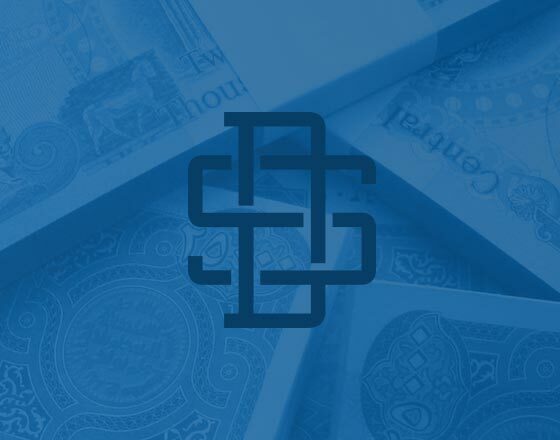 We post on our website the current, official exchange rate for the IQD, the rate that we charge for it, and the rate that we will pay you for it if you wish to sell IQD back to us. We offer free alerts so that you can keep track of these rates and display historical rate information in graphical form on our site. We use a third-party, professional armored services company with decades of experience in handling international currency to receive, count, verify and pack our shipments. Buying currency in this way is no more a scam than buying or selling any of the other 78 currencies that we exchange. The potential for a "scam" comes into play when the seller (or buyer) misrepresents their own "inside knowledge" of a sudden, dramatic future change in value or if you see any of the red flags listed above. Are you registered as an MSB with FinCEN? You should be able to verify this on the Secretary of State's web site from the state where the business was formed. What is the turnaround time for me to receive my currency or payment? This information should be available on their web site or when placing the order. Are you an accredited business with the BBB? Testimonials should be published on the business' web site. If I live in a state that requires a currency exchange license, do you hold one? Most states that require a license publish licensee information on the state's Department of Financial Institutions web site. What are the total costs associated with providing this transaction? All fees should be published on their website when placing an order. Can I review your terms and conditions and any other disclosure statements? This information should be available on their site. If it is not, ask them to send you an email. Do you have the resources to ensure the authenticity of the currency you exchange? The company should be able to confirm that they have the necessary software to verify that the currency they exchange is not counterfeit.